I feel very privileged to meet so many wonderful professionals in the pet industry who continue to be a source of inspiration and valuable knowledge for me; Veterinarian Kelly Halls BVSc (hons) of Bentons Road Vet Clinic in Mt Martha, Victoria (Australia) is one of those people and I admire her trailblazing advocacy of whole food and raw feeding for our pets within the veterinary world. Kelly and I recently appeared on a panel discussing pet industry trends on 98.7 RPPFM Taking Care of Business Program hosted by Jacki Mitchell (you can listen to the podcast here Podcast RPPFM Pet Revolution 24 March 2017). 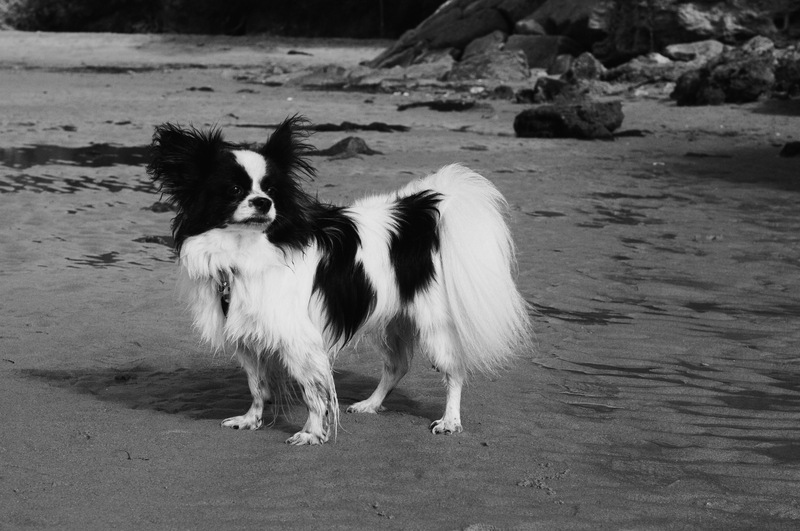 In this feature blog, Kelly shares a little about herself, the benefits of feeding raw whole foods to your pets, and some of the exciting developments in pet nutrition…. What influenced your choice to become a vet? I was one of those typical kids who had all manner of pets at home (dogs, cats, rabbits, rats, mice) and loved horse-riding. I don’t really remember when I first decided to be a vet, but I don’t remember having any other career dreams. I never really expected that I would do anything else… And this was way before I had any real idea of what this career was all about! What led to your interest in whole food/raw feeding for dogs and cats? One of my daughters has some minor food intolerances (wheat, dairy and eggs – yes, all together!) so I spent a lot of time researching human nutrition and how to provide her a balanced diet for growth without all of the ‘base ingredients’ typically found in our western diet. Along the way I learnt a lot about wholefood or fresh food nutrition and the benefits of phytonutrients, natural enzymes, ancestral diets and the interactions between so many of the compounds in the foods that we eat. …I always had in my head “so why do we as vets recommend a completely processed, single brand kibble diet for our cats and dogs?” How can this possibly be the best for them? We don’t eat a protein or a carbohydrate on its own with added single vitamins and minerals…we eat a complex array of varied ingredients that cannot be approximated by a chemical equation and a single processed product. We know how ill we become if we deny ourselves fresh vegetables for very long. And along this path I always had in my head “so why do we as vets recommend a completely processed, single brand kibble diet for our cats and dogs?” How can this possibly be the best for them? And the more I researched the ill-health effects of this type of diet on our pets, the more guilty I felt for advocating kibble diets for so long. This knowledge quest is a journey that I am still on. What are some of the biggest challenges for a vet that advocates giving whole species appropriate food for pets? We as vets base our health recommendations on the scientific literature that ‘proves a theory’. As it stands currently for natural diets, this literature is severely lacking. Fresh food that has no shelf life cannot be sold for a large profit and so there are few marketing dollars available to fund the research that is much needed to ‘prove’ that fresh food has a health benefit over typical commercial diets. What holistic vets use to advocate fresh food nutrition is a lot of common sense, extrapolated data and anecdotal evidence, which is just not the same as peer reviewed, randomised, controlled, double-blinded field studies. The other biggest challenge is that the advice to feed a fresh food diet, complete with raw meat and raw bones, is so different to the majority voice in the industry; so much so that many of my clients look at me as though I just said to feed their pets poison! “But vets have been advising not to feed bones for so long, how can you guarantee that it is OK?” If a pet owner has heard multiple vets for the past 15 years say they should feed a dry food diet to their cat or dog, my message is completely alien. But just how did we get to the place where a natural, wild-type diet is considered so alien? Why do you think that a natural diet is so important to pet health? As veterinarians, we are well trained in treating disease, illness and injury in pets. We do this every day. But even though we are very good at what we do and can treat a multitude of problems, we also know that we can rarely cure or fix completely. Cancer can be cut out or bombarded with toxic chemicals; broken bones or ligaments can be repaired with surgery; rotten teeth can be surgically removed from the mouth; allergic dermatitis can be moderated with steroids and antibiotics; the pain from arthritis can be managed with analgesics; liver disease can be slowed with diet changes and antioxidants…. And the list goes on. But the start of the problem can never be reversed and we spend the rest of that pet’s life mitigating the damage and suffering that illness, disease or injury causes. As a change, I would really like to be a vet who promotes good health in our pets to try and stop these problems from beginning. So this means I love preventative medicine. (Sounds really boring!). But it means so much more than just doling out vaccines and parasiticides. At the heart of good health is good and proper nutrition. No one can deny this. With a fresh, healthy diet, most of these problems just do not occur. That is why I think it is so incredibly important to feed our pets a species appropriate diet. Kibble is not the way to go here. Have you seen any changes or differences in dogs or cats that have switched to this sort of diet? Kelly has seen improvements in fur and skin for pets switched to a whole food diet. The most immediately obvious change to both cats and dogs when they switch to a fresh food diet is a moderation in their body weight. Excess body fat reduces naturally when refined carbohydrates are limited in their diet and given that most of the pet population battles with obesity, this is a really exciting change. Their owners love it! Muscle bulk also improves with better quality protein in their food, leading to better overall fitness with absolutely no effort in increasing exercise. I have had many dogs that do indeed become shinier and darker in colour once their diets are improved. The other immediate change is the improvement in skin and coat quality. Many people find that their pet is naturally a darker colour than they were. With an improvement in their skin health, many pets lose a pale fluffiness or dryness to their coats and the dry dandruff and develop a luscious smooth coat instead. I have had many dogs that do indeed become shinier and darker in colour once their diets are improved. I have also seen dogs improve in behaviour – I don’t know if this is a direct result of the increased tryptophan in a higher meat based diet, the extra environmental enrichment delivered by chewing on a meaty bone, the loss of frustration of constant hunger pangs when fed a refined carbohydrate diet, or the improved variety and balance of micronutrients in their diet – but many dogs have ‘settled’ in their behaviour and most pets stop pestering for food as much because they are more satiated. I would really like to be a vet who promotes good health in our pets to try and stop these problems from beginning. Is there an emerging area of pet nutrition that you are particularly excited about? I think the information that is pouring out of the human field on the importance of our gut microbiome to our overall health is fascinating and will drive our need to really look at natural diets in more detail. The proven links between the bugs that live in our gut and the health of our skin, organs, brain, immune system and the development of cancer are going to be so important in the direction of health research over the next decade or so and the importance of what we put into the digestive systems of ourselves and our pets will be highlighted. The long term health benefits of supporting our good bugs will also be what wins the fight with antibiotic resistance in the future. What advice would you give to people if they are interested in switching their pet to a whole food diet? Do a lot of research first. Find the incentive to really believe that this is better for your pet (it is!) and this will help you through the bumps in the road as you transition yourself to a different approach to feeding. There will be the odd bump in the road (a food refusal here, a gastrointestinal upset there) and if you don’t fully believe then it is too easy to slip back to the convenience of the packaged diet. There is so much good information on the internet these days (Dr Google is so much better educated…) and finding the right support or information source is really important. Search for raw feeding Facebook groups in your area, look hard to find a vet who supports your ideals and who will help you achieve nutritional balance. Search for raw feeding vets online as they often have lots of information on their website so even if they are too far away for you to travel to, they can still be a great resource for information. I have been a practicing veterinarian for about 15 years. I have practiced in equine reproduction, dairy medicine, emergency medicine, corporate practice, referral hospitals, family owned clinics and single man travelling clinics. I have worked in the UK, Gippsland and the Mornington Peninsula. I am also a wife and a mother – I have two gorgeous daughters aged 5 and 7 who keep me grounded (and bathed in sparkles and glitter!). I have always aspired to partnership or ownership of my own practice and the opportunity presented itself about 3 years ago. My husband and I discussed it in depth and thought, why not? The time will never be better. So we jumped in completely out of our depth, bought a house, converted it and opened our clinic – this took a whole year! Since then we have never looked back. The beauty of being the sole owners is that we have been able to let the clinic find its feet and evolve into the business that we really believe in. We know we are providing a true pet health service that offers a lot more than other clinics. 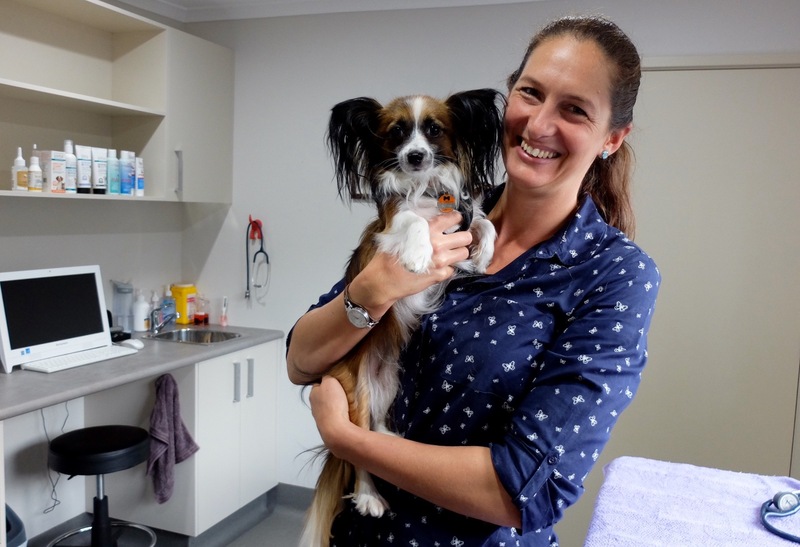 Bentons Road Vet Clinic is located on the beautiful Mornington Peninsula. We provide all of the usual medical and surgical, diagnostic and treatment services of a typical vet clinic but we go that extra step to really promote good health. Our points of difference and our strong passions include; educating clients on the benefits of fresh food nutrition and how to do it right; reducing unnecessary vaccines by offering inexpensive titer testing; recommending parasite control medications only when needed instead of as a ‘preventative’; and incorporating behaviour based handling methods into every interaction with our patients to reduce stress and fear in the clinic. 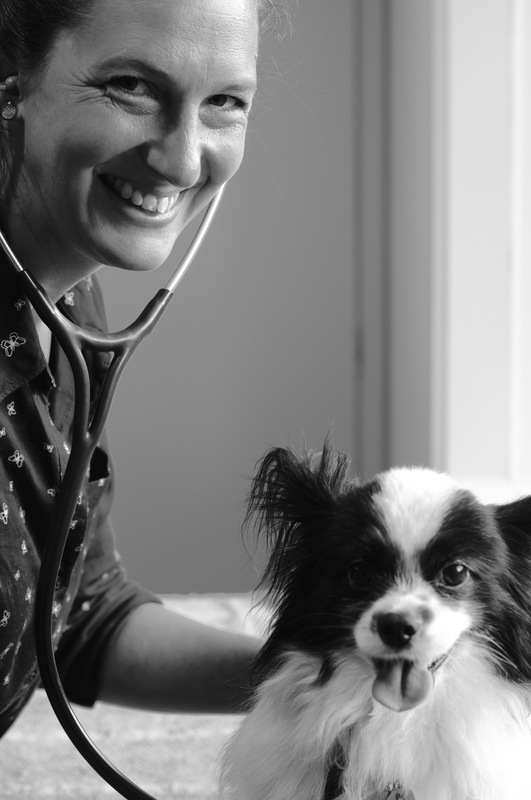 We have a team of highly experienced vets, each with their own area of expertise. Kerrie is a medical marvel and loves feline medicine, Sophie is further qualified in acupuncture and herbal medicine and I love emergency medicine, dermatology and nutrition. We have exceptionally highly trained nursing staff and our whole team is focussed on the whole health approach. For more information, visit http://www.bentonsroadvet.com.au/.